Proctor & Gamble has officially released their 2011 Sustainability Overview, which highlights the progress of the company’s efforts in regards to ‘environmental sustainability’ and ‘social responsibility’. This years report tracks statistics related to various environmental parameters (water usage, material reduction, etc.) and also features in-depth profiles of specific examples where product or packaging innovation has led to improvements in any of the above mentioned parameters. 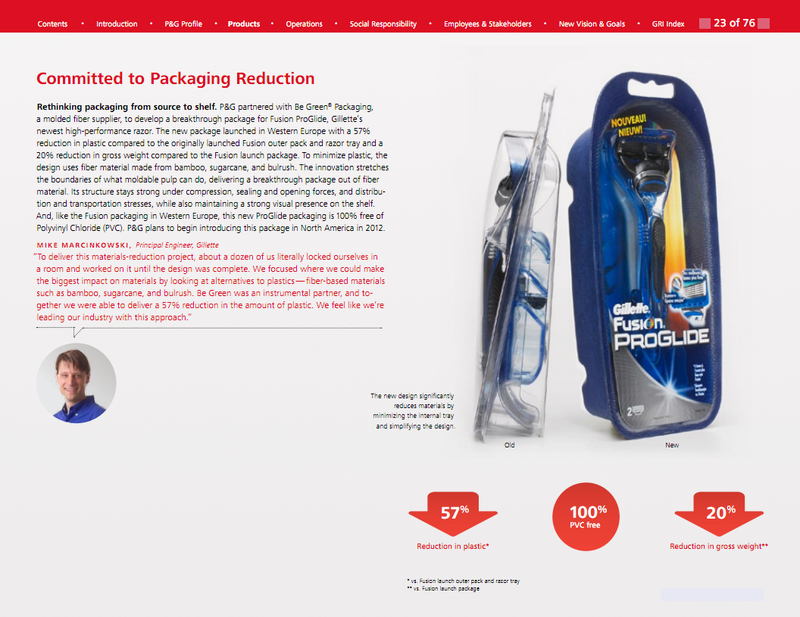 Be Green Packaging was prominently featured in the 2011 report for its ability to help P&G reduce plastic use by 57% and decrease product weight by 20%, which means less environmental impact and savings for the company on material costs. Marketed in partnership with Be Green Packaging, new line of high-performance supermarket trays, containers and portion cups for meat and poultry counters are made from bulrush and other compostable plant fibers. Excellent Packaging & Supply, an innovator and wholesale distributor of sustainable, biodegradable, and nature-based packaging for foodservice and other applications, has added a new line of food display and presentation containers made from bulrush and other plant fibers to its line of compostable foodservice packaging products for supermarkets and grocery stores. Designed to replace the polystyrene containers that are typically used in the meat, poultry and seafood departments, the new line includes trays, containers and portion cups made from plant fibers that will compost in 30-90 days in both home and municipal composting environments — significantly reducing landfill waste. The new line is manufactured by Be Green Packaging, a company that maintains the highest level of eco-certification in the industry. New trays look good and are sturdy and durable — with performance better than Styrofoam. The new foodservice trays and containers are freezer-, microwave-, and oven-safe, making them some of the most durable plant-fiber products on the market. A key attribute of these trays and containers is that they are sturdy and can contain water, liquid and hot foods without compromising product performance. Until now, alternatives to polystyrene have generally not held up well with such foods, according to Gena Allen, catering director at Sunshine Foods in Saint Helena, California. “At last, we can use an all-natural product that works well and even looks good! We’ve been trying to move away from Styrofoam for years but everything we tried couldn’t hold up when in contact with moist meats and poultry. With these new trays, we can package pretty much anything and feel confident that it will present well and stay fresh. And, because they don’t insulate, we can use them for seafood and not worry about the food spoiling even though it’s on ice. We keep telling Excellent Packaging to give us more sizes because these trays and containers have such a wide range of uses,” said Allen. The Be Green Packaging trays and containers are available in an assortment of sizes, for immediate delivery. All of them are made from plant fibers, primarily bulrush, along with bamboo, sugarcane bagasse, and wheat or rice straw. These fibers are from annually renewable agricultural resources that do not compete with food production. The manufacturer, Be Green Packaging, holds certifications from the Cradle to Cradle™ Products Innovation Institute, Western Michigan University’s Recycling Program, the Biodegradable Product’s Institute (BPI), the Non-GMO Project, and the USDA BioPreferred Program. Be Green Packaging has also begun construction of a domestic factory in the USA that will produce their products using domestic, non-food raw materials within the a year. The new line of foodservice containers made from plant fibers is available direct from Excellent Packaging (http://www.excellentpackaging.com). To learn more about the Be Green Line of products or the wider range of bio-based, sustainable catering products offered by Excellent Packaging, or to enquire about volume pricing, call (800) 317-2737 or email sales@excellentpackaging.com. 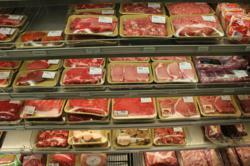 For smaller order quantities, visit our online store:http://www.biomasspackagingstore.com. Excellent Packaging & Supply (http://www.excellentpackaging.com) is a wholesale distribution company that specializes in nature-based packaging for foodservice and other applications. The company’s range of environmentally sustainable packaging includes compostable, biodegradable and recyclable product lines, as well as traditional packaging solutions. Excellent Packaging brings decades of experience to assist its customers with and inventory-control services, product development, sourcing, quality control, and price negotiation. Excellent Packaging also works with a wide variety of companies and organizations to research, source and deliver custom bio-based and traditional packaging and foodservice products that enable companies to integrate sustainable foodservice solutions into their business. Excellent Packaging markets sustainable foodservice packaging solutions for business, restaurant and home through its BioMass Packaging® division (http://www.biomasspackaging.com). Follow us on Facebook (BioMassPackaging) and Twitter (@BioMassPackage). At Be Green Packaging we like to find the most environmentally friendly way to carry out our day to day business. Thats why we have decided to ditch the chemical laden Round-Up weed killer for goats! 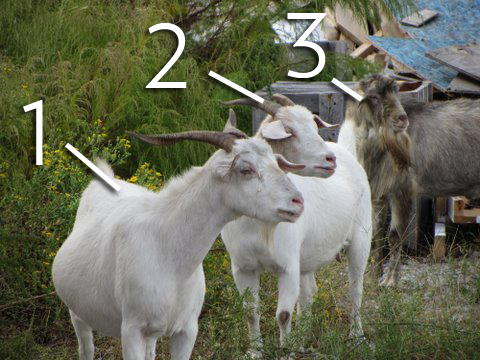 Head on over to the Be Green Facebook Page here to submit your suggestions for the names of our goats. We will choose our favorites from the submitted names and post the winners on out blog and Facebook page along with the names of the people who submitted them. The two white ones are females and the brownish one with a beard is the gentleman of the lot. 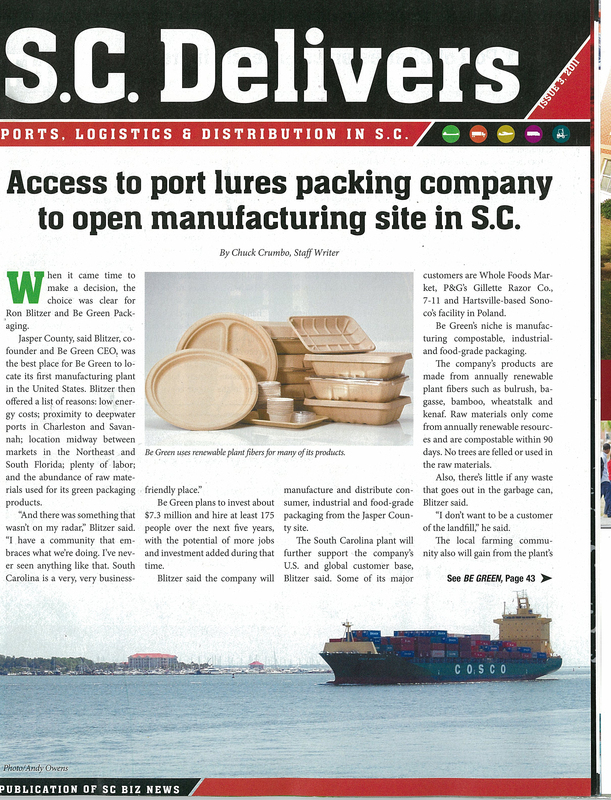 SC Biz Magazine Fall 2011 issue reports on what exactly motivated Be Green Packaging to come to open their latest manufacturing plant in South Carolina. CINCINNATI–(BUSINESS WIRE)–The Procter & Gamble Company (NYSE:PG) today released its 2011 Sustainability Report titled “Commitment to Everyday Life.” The report outlines P&G’s global progress over the last year in decreasing the environmental footprint of products and operations, fulfilling social responsibility commitments and delivering sustainable product innovations to the market. The report is now available online at http://www.pg.com/sustainability. – 2012 Goals – P&G is on track to meet or exceed all of the five-year sustainability goals the Company established in 2007, with several targets already realized. For a complete breakdown of current goal progress, visit: www.pg.com/sustainability. 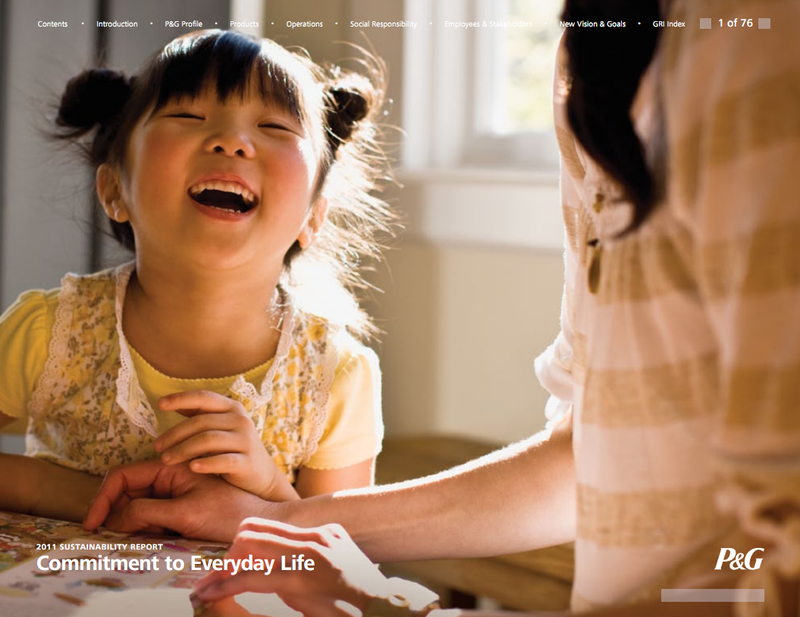 – Product and Packaging Advancements – P&G compacted its entire portfolio of U.S. and Canadian powder laundry detergents by 33 percent, offering consumers the ability to have the same great performance while using smaller doses. The environmental benefits of this innovation include less packaging, less waste and fewer delivery trucks on the road. – Expanding Renewables – As part of its commitment to replace petroleum-based materials with sustainably sourced renewable materials, P&G expanded the use of plant-based plastic in its packaging. The innovative material made from sugarcane – a first for the mass hair care industry – debuted in the Pantene Pro-V Nature Fusion collection last April in Western Europe, and is expanding to North America in Fall 2011. – Sustainable by Design – Furthering its commitment to the sustainable design of all P&G operations, P&G announced its intent to LEED certify all new construction of manufacturing plants, distribution centers, and office buildings. 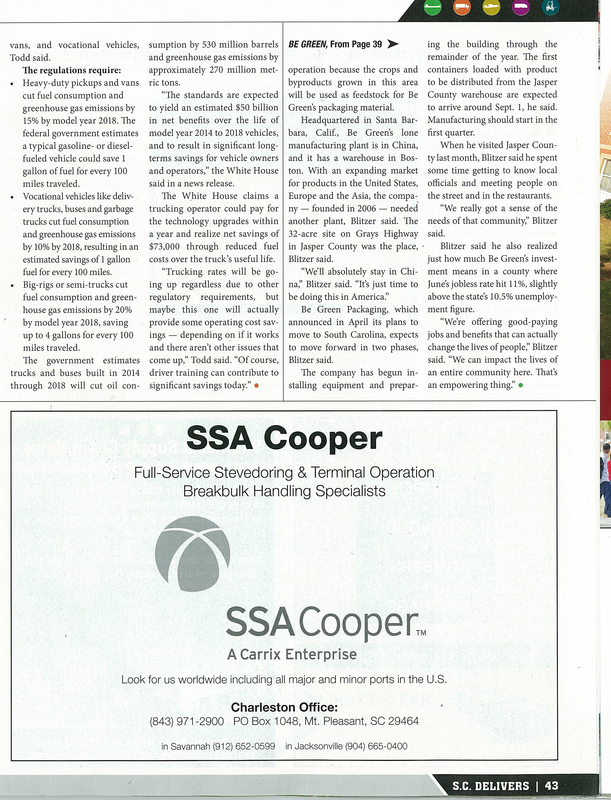 Initial sites to pursue LEED certification include plants in Taicang, China and the Singapore Innovation Center. – Providing Clean Drinking Water to People in Need – In July and August of 2011, P&G mounted its largest-ever disaster relief response to provide clean water to people in Pakistan affected by flooding. P&G’s Children’s Safe Drinking Water (CSDW) program has delivered 2.9 billion liters of clean drinking water since 2007, saving more than 14 thousand lives. P&G’s sustainability report was prepared using the Global Reporting Initiative’s (GRI) G3 guidelines. The GRI report is the most widely used sustainability reporting framework that includes the principles and indicators global organizations use to measure and report economic, environmental and social performance. For more information on P&G’s environmental vision and commitment to sustainability, visit: http://www.pg.com/sustainability.